KIERAN ROSE sat down with An Phoblacht in Sinn Féin’s Head Office in Parnell Square in Dublin a couple of weeks after the Marriage Equality Referendum. He hadn’t been there since the 1980s but he paid tribute to Sinn Féin and republicans for being “critical” in their support of and advocacy for the LGBT community and marriage equality. Sinn Féin “hasn’t played politics” with the issue of equal rights for the gay community, he said. 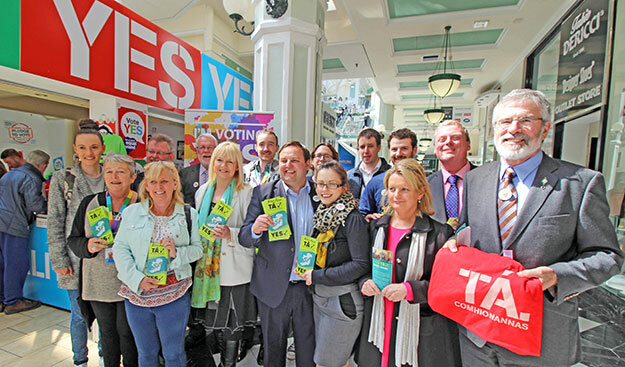 The overwhelming vote in the 26 Counties on 22 May when 1.2million people said ‘Yes’ to make the state the first in the world to endorse marriage equality was “a dam-burst of dreams” for someone who has been campaigning for civil rights since the 1970s. 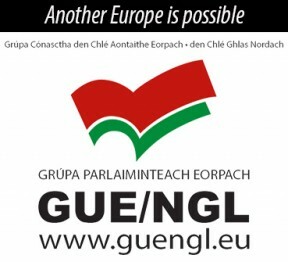 He has always put his hopes in the progressive traditions that have been the undercurrents in Ireland. When he first came out as gay, Kieran was moved by the tremendous support he got from his family (“My mother was a strong Catholic but she had no time for priests or bishops telling her as a woman what to do”), work colleagues in Cork County Council and the trade union movement in Cork. “Even at the height of the repression, when the Right was really in the ascendant on social issues, I’ve always said that there are hugely positive traditions in Ireland based on the struggle against colonialism, for civil and democratic rights, and . . .” pausing to emphasise the point, “religious rights such as Catholic emancipation. Kieran was always appreciative of how big a step the issue of marriage equality was for straight people. Kieran was born and grew up in Cork before going to Dublin to do a degree in planning. Returning to Cork in the late 1970s, he got involved in the lesbian and gay movement as well as becoming a trade union activist in the Local Government & Public Services Union (now IMPACT) and the local trades council. He helped to set up the Cork Gay Collective, which held the first-ever national gay conference in Cork. The conditions of the political prisoners in the Six Counties was raised by activists in ‘Lesbians & Gays Against H-Block/Armagh’. 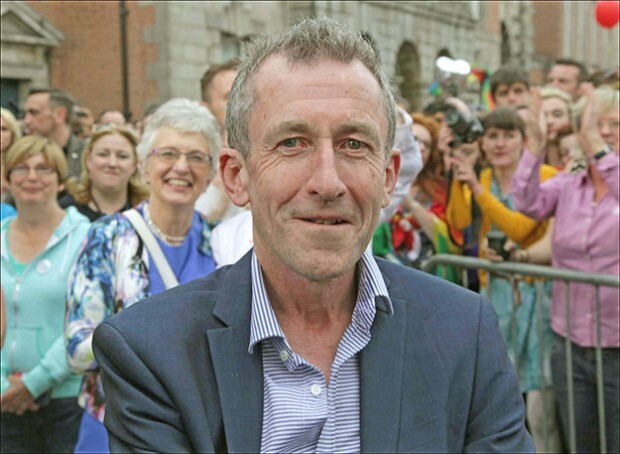 Moving to Dublin, he was instrumental in setting up the Gay & Lesbian Equality Network (GLEN) in 1988, of which he is now Co-Chairperson. Six years before GLEN was established, in January 1982, Charles Self, a 33-year-old set designer with RTÉ, was murdered at his south Dublin home. The Garda investigation seemed to be more focused on harassing gay men (interviewing more than 1,500 of them and visiting some at their workplaces) rather than catching his killer. 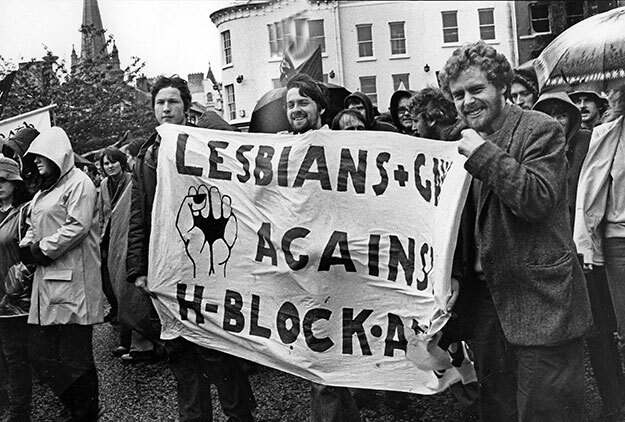 People active in Lesbians and Gays Against H-Block suffered extra pressures from the Garda Special Branch. The following year, in April 1983, Declan Flynn, a 31-year-old Aer Rianta worker, was beaten to death in Dublin’s Fairview Park by a gang of teenagers who told police they had been out “queer bashing”. The four received suspended jail sentences of up to five years, prompting the gay community to organise probably the first significant mass protest by them and their supporters from trade unions and civil rights groups marching through the north inner city. 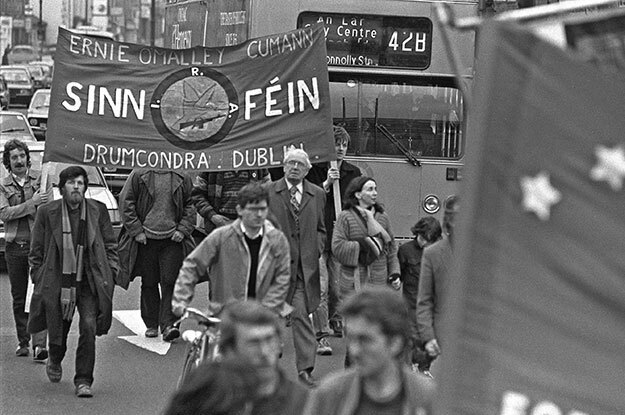 A Sinn Féin banner from the Drumcondra-based Ernie O’Malley Cumann was prominent in Fairview Park. Homosexuality was still illegal and that wasn’t going to change for another ten years, until 24 June 1993. Now, in 2015, Ireland (well, part of it) has led the world by saying ‘Yes’ to marriage equality.